Cluny disappointed. I stayed in the Hostel and found little in Town regarding pilgrim routes nor any sign a fellow pilgrim. 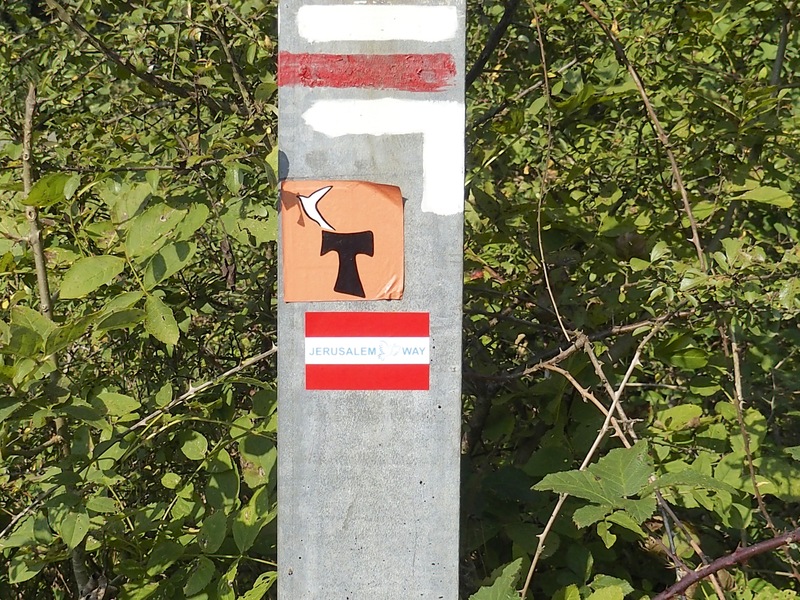 Still I now had a day ahead on the Camino route, a badly marked one at that. But it didn’t disappoint. If I longed for hills since I arrived, I had plenty of them now – nothing extraordinary but twisty windy ascending roads that put the body under pressure in the early morning sun light. This was more like it. Very rural, very like the West or South of Ireland, minus the rain! 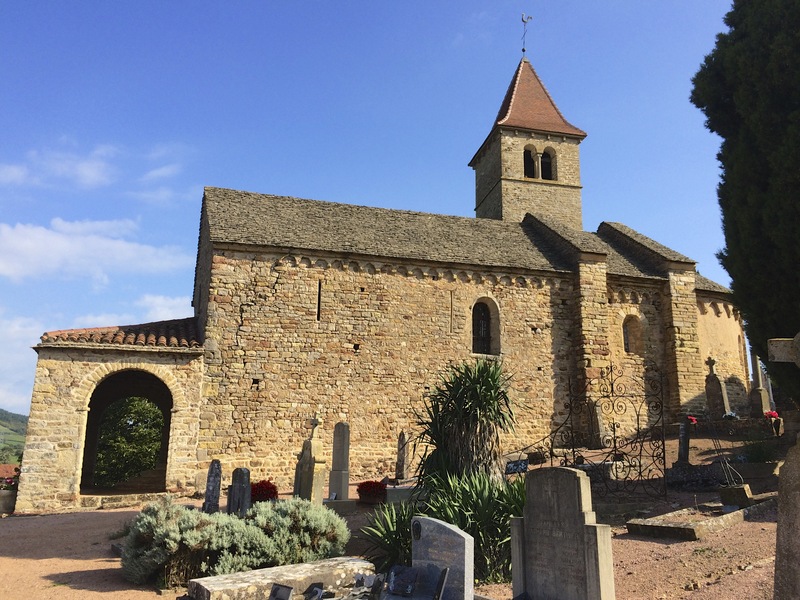 The simple Chapelle de Vaux. It was heavy going for the next few hours, but the roads were quiet and the views were rewarding after each bend was rounded and hill crested. The only Camino sign I saw for the rest of the day was on the side of the church in Ouroux. It was uphill all the way from there as I now headed back towards Lyon. The highest point was the Col du Fut, Avenas at 743m. I was never so happy to finish a climb! It was particularly difficult but I was just shattered – really need to be in better shape doing this. The views east across the plains were a welcome sight – it was going to be all downhill for the next 20kms! 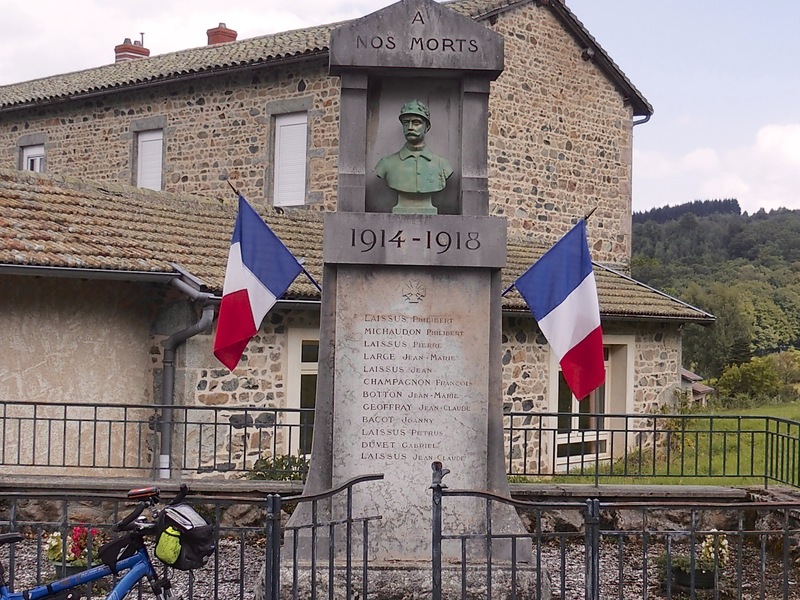 Monument to the War Dead Col Du Fut, Avenas. It was back into the grape growing region to Belleville. It had nothing to offer and was probably the most lifeless place I’ve ever stayed on a bike. Pass on through or stop in Ville Morgan a few kms beforehand if you ever come this road. Over the top at Col du Fut, Avenas. 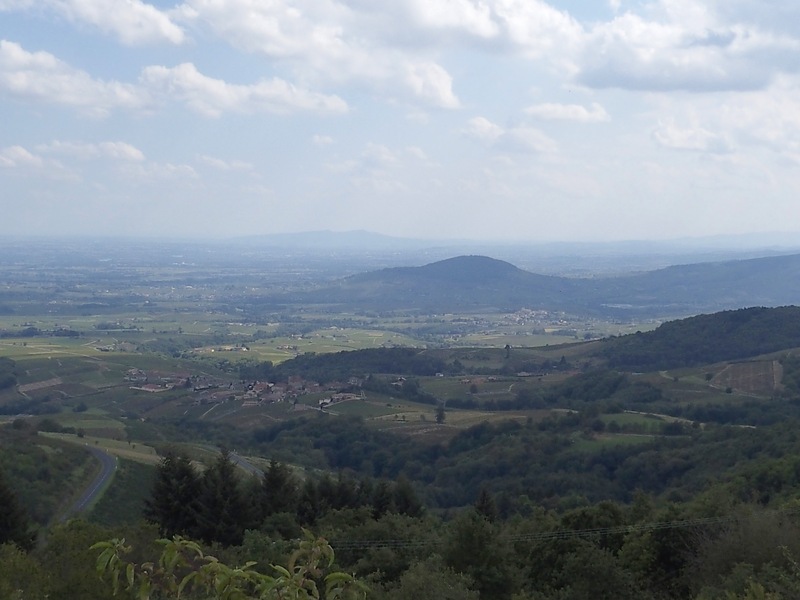 One side of the mountain range is very like Ireland, lots of green fields, hedgerows, mixed farming while down the eastern side the vines reach up along the sides of the hills soaking up the sun to produce the great wines of the Burgogne.